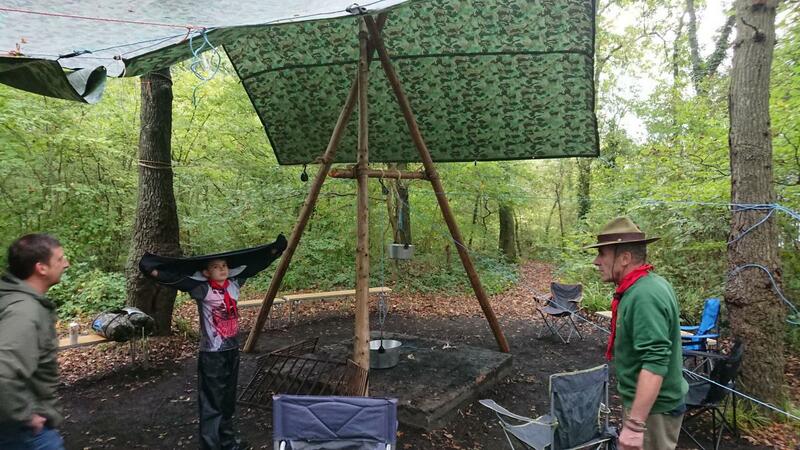 The Scouters arrived at 10:30 to prepare the cooking/fire area, and yes all meals were prepared on an open fire. Later the Cubs and Scouts arrived with their families, and pitched their tents ready for the afternoons activities. We did a flying carpet (see photos) and Fire lighting. After dinner we had a campfire, followed by hot chocolate around the fire. Breakfast in the morning followed by some packing away and then home. A great time was had by all, and the weather was kind to us! Thanks for those who took part, and a BIG THANK YOU to the Scout leaders for their help in organising the event.